We’re all tempted to spring into action as soon as the weather gets warmer. After a long winter of lower levels of activity, it’s important to be mindful of easing yourself back into more strenuous activities to avoid injury. 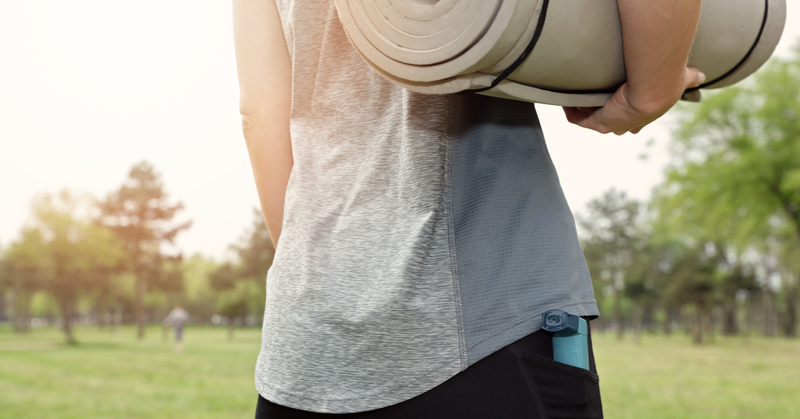 Before you get out and get moving, take these quick tips into consideration! Working in the garden is a favorite Spring pastime, but it can easily lead to injury. 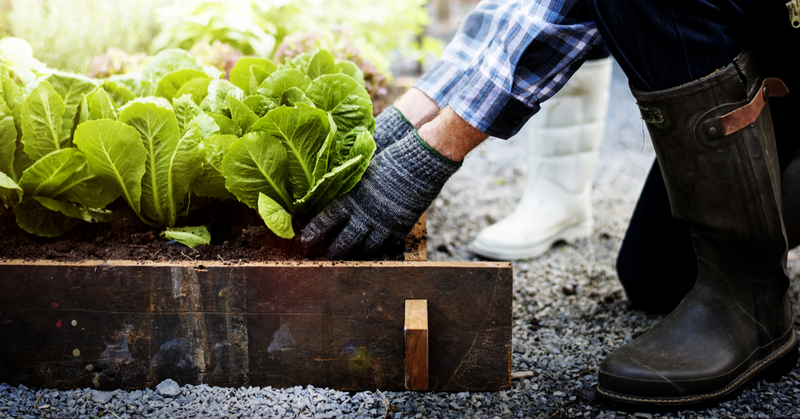 From shoveling dirt into your raised beds to bending over to sow your seeds, make sure you’re using the proper form to prevent yourself from straining your back. Start Small – Do your best to break up time spent preparing your garden by sticking to one or two tasks a day. Easing into strenuous activities can keep you from overwhelming your body. Use Equipment Properly – Use proper lifting techniques when shoveling or using the garden hoe by bending at your knees instead of your back to do the heavy lifting. You can also use a garden stool to keep you from bending over to tend to the garden and sow your seeds. Avoid Repetitive Movements – Bending, twisting, and reaching repetitively can strain your joints and muscles easily. If you find yourself needing to do the same task over and over, try taking frequent breaks and stretching in between. Choose Your Trail Wisely – Yes, McAfee’s Knob has legendary views but is it smart to start off the hiking season with an 8 mile hike? Probably not. Start small with short trails around Carvin’s Cove or up Mill Mountain. Choose the Right Pack – Unless you’re doing an overnight hike, you probably don’t need a massive backpack to take with you. However, you shouldn’t skimp on quality either. Make sure you choose a backpack with thick straps and a strap across the chest for added support. Wear the Proper Footwear – Make sure you have tennis shoes or hiking boots that have proper traction, ankle support, and are light weight enough to not strain your leg muscles. REI has a great guide to help you choose! Pay Attention to Your Core – We often start off with a strong posture but as our bodies become tired, its common for hikers to disengage their core and begin to slump. This can put major strain on your lower back. Make sure to keep your muscle engaged and your shoulders held high! As avid runners, running on a treadmill during the winter can become boring and monotonous. We understand being excited to get outside and hit the pavement, but you’ll want to make sure you don’t hurt yourself. Try these tips to prepare for a long run on the Greenways! Stretch! This seems like a no brainer, but when you’re outside of the gym it’s easy to forget to stretch. Just like any other physical activity, it’s key to do a full body stretch! Check Your Shoes – Running on asphalt has a different impact than running on the trails or treadmill. Make sure your shoes provide the proper shock absorption and tread for your preferred running surface. With the rise of Marie Kondo’s love for purging, everyone will be going full throttle during Spring Cleaning this year- but back pain won’t bring you joy. The increase of general chores requiring repetitive movements combined with the extra lifting of bags, it will be easy to strain your muscles. Take Breaks – Taking frequent breaks between tasks that require repetitive movements is the best way to prevent too much strain on your back and shoulders. Stretching during your breaks are always a bonus! Using Proper Techniques – Lifting heavy bags with out proper handles and lifting furniture requires a mindful technique. Bend at your knees instead of your waist and don’t be afraid to ask someone for help! If you find yourself getting carried away this Spring, we’re here to help you work through your injuries!